Our school will be commemorating Total Defence Day on 13th February 2015 to mark Singapore's fall to the Japanese in 1942 during World War II. Total Defence Day serves to remind our students that Singapore is worth defending and we must be committed to defending our homeland. Total Defence is founded on the pillars of the military, civilians, economy, social spirit and psychology. 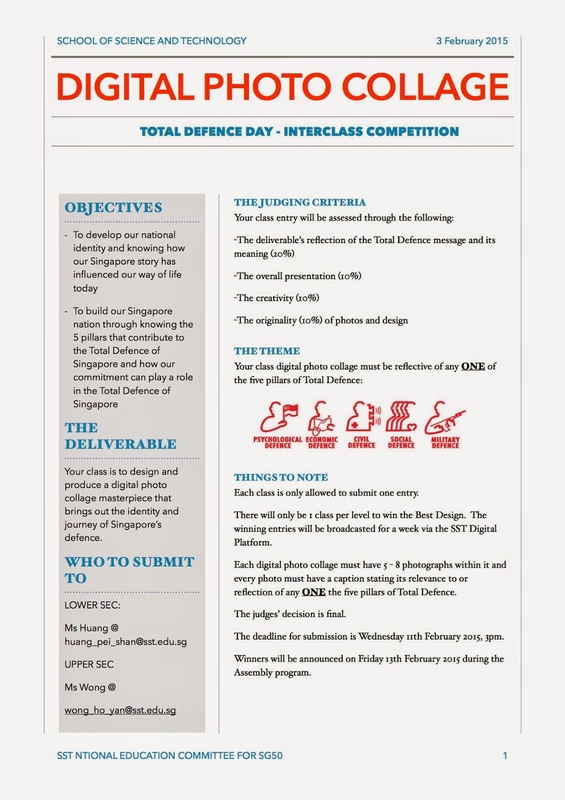 Through the activities we have lined up for Total Defence Day, we aim for the students to understand the rationale behind and value of Total Defence as the cornerstone of Singapore's deterrent strategy. The NE Committee has planned an Interclass Digital Photo Collage Competition for all of you. Below is the details of the competition for your perusal. 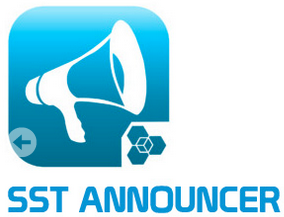 Deadline for submission: Wednesday 11th February 2015, 3pm. Do contact Ms Huang (Lower Sec) or Ms Wong (Upper Sec) if you need further clarifications.